Healthy soil with a good structure is essential to help maximise farm income and sustainability. Soil erosion, declining organic matter levels, nutrient loss and compaction all work against this. The correct choice of cover crop can help alleviate these issues and also mitigate against the added pressure of increased weed and pest issues and the more frequent extreme weather events. Cover/Catch crops are also one of the options that can be used by farmers under the Ecological Focus Area section of the Basic Payment Scheme and should be seen as an opportunity to conserve soil nutrients and improve soil structure as well as enhancing habitat for farmland wildlife, rather than leaving the land fallow and unproductive. 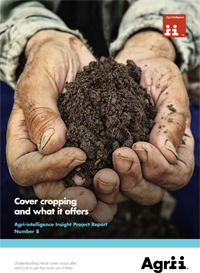 Agrii customers can request the full report from their agronomists now. Issue 6 – Understanding Adjuvant Technology – Does it deliver?